People throw the word “branding” around a lot. It’s one of the most misused terms in our industry as it’s often used to describe only visual identity. But what does that really mean? Is branding more than the corporate logo or tagline? Or, are they actually talking about “rebranding”? Branding is a promise that a company makes to its market—its uniqueness across every touch. You only get one chance to brand your company or product and that’s when it first launches. For any company that’s been in existence for a while, branding efforts are actually rebranding. When you rebrand, you have to go against the inertia of your old brand. This often takes the form of a new strategic focus, clearer corporate values, new offerings, clearer positioning, a new name, messaging, visual identity, marketing communications or a combination of those elements. And while visual elements are crucial, it’s about a lot more. 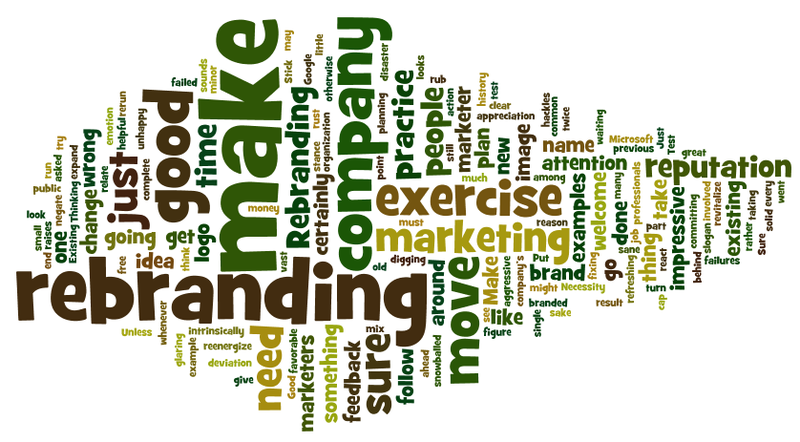 Rebranding should be part of an overall corporate strategy. Rebranding will help establish differentiation against your competition. If the company’s message has been fuzzy in the past, rebranding helps bring clarity to corporate culture and the outside perception. A rebranding effort should leave the company looking different on the outside because it has changed on the inside. Employees should feel a new sense of morale. Customers and clients should say it changed the way they felt about the company for the better. Revenue and market share should improve over time. Each of these reasons for rebranding is its own animal, so we’ll take each of them on individually in future blog posts. Forte Marketing Group is a Birmingham, Alabama-based branding, marketing and advertising firm that helps companies nationwide differentiate their brands. Learn more about us at www.fortemg.com.